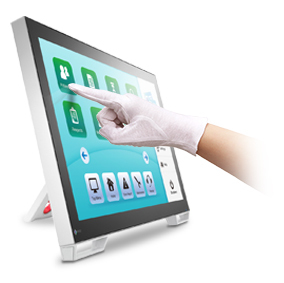 The DuraVision FDF2121WT-A is a fully flat multitouch monitor for use in factories, clean rooms, and public access areas. It offers flexible installation and exceptional durability for long-term use. 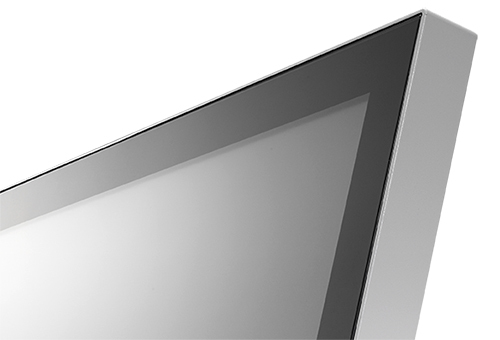 The fully flat design enables seamless touch operation across the screen. The smooth surface allows for easy cleaning. The DuraVision FDF2121WT-A uses surface acoustic wave technology (SAW) which exhibits a higher light transmittance compared with resistive touch panels for high visibility. 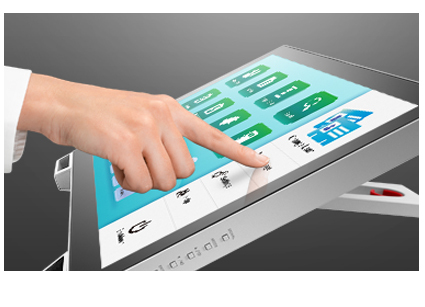 It supports 2-point multi-touch operation and accepts touch input even when wearing gloves, as well as from styluses. This makes it easy to use in factories, clean rooms, and public access areas. The antiglare screen minimizes reflections to maintain high visibility. It is also resistant to fingerprints to ensure clear images at all times. The monitor’s reclining stand provides flexible positioning of the screen to the desired angle. 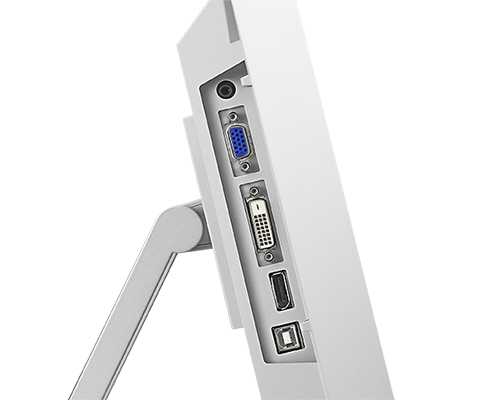 A desktop stand with tilt is also available, as well as compliance with the VESA standard for mounting on an arm or other fixture. The screen has a non-scratch surface made of reinforced glass with a hardness of 7H (Mohs scale), making it durable for long-term use. The monitor can withstand temperatures ranging from 0 – 40°C. 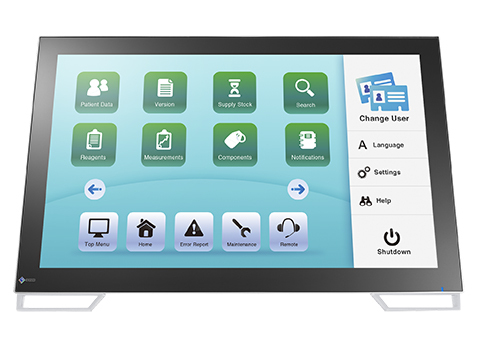 The multitouch interface is supported by standard Windows 10 or 8.1 drivers. 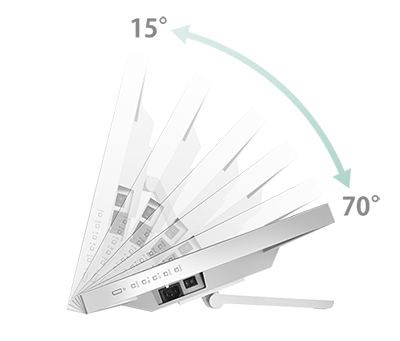 You can operate the touch panel without additional drivers by simply connecting the USB cable. The DuraVision FDF2121WT-A comes equipped with built-in 1.0 W + 1.0 W speakers for environments which require sound output from the monitor.